Nose : a very rich, with rare notes of every type of aroma (flowers, fruits, spices...). Palate : perfectly balanced and structured, with great intensity. Finish : extraordinary long lasting, the finish reveals the secrets of the best of the Fins Bois terroir. 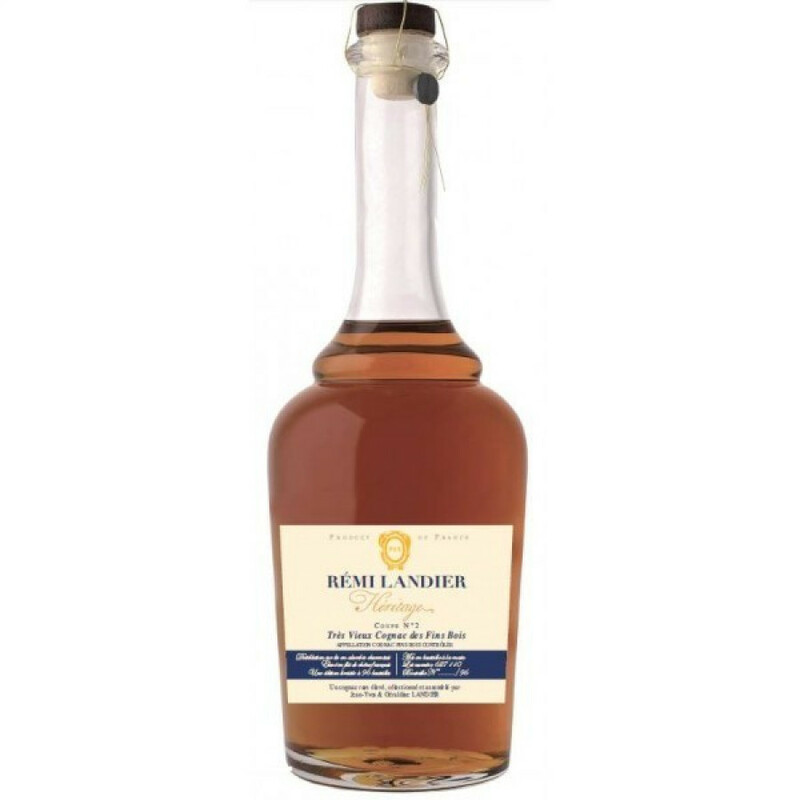 Remi Landier Heritage Coupe No 2 Cognac is a blend of eaux-de-vie from both Grande Champagne and Fins Bois. It's the second edition of this rare blend of eaux-de-vie that was created to celebrate the 90th anniversary from the house. solely from the Fins Bois terroir of the region. The average age of all the components is around 40 years, and they are all from the Fins Bois Terroir. The Cognac is complex, well-rounded blend with excellent rancio. Deep in color, it offers a superb sensory journey from the moment you set eyes on it. This continues with wonderful aromas and myriad of flavors on the palate. Presented in an attractive decanter, this would be a delightul choice as a present to any lover of Cognac - or of course, as a gift to yourself. Slightly over-proof at 43%, it would also be a good choice to pair with your favorite cigar.